When Detroit Tigers owner, Mike Ilitch, passed away on February 10, 2017, he left behind many years of his life putting great effort and money to try to see his team be crowned as champions. However, success times seem to be history in Detroit. This is the main challenge the 2018 Tigers will try to change with the Latino power. Although he was close, Mike Ilitch could never achieve his goal and after his death, the team began to dismantle to reduce the payroll to the maximum, regardless of whether that also reduced their chances of being protagonists. In full season, the most important players left Detroit, an exodus that included Justin Verlander, J.D. Martinez, Justin Upton and Justin Wilson, who joined Ian Kinsler once he had finished the season. 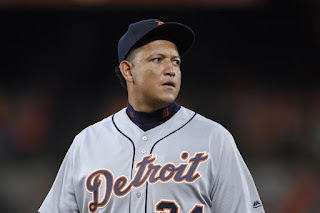 The only survivors with heavy contracts in the team, Miguel Cabrera and Víctor Martínez, remain with the organization, but wrapped in rumors, because of the same new policies of the leaders in relation to lowering the costs in the payroll. Nevertheless, beyond all those problems, the 2018 edition of the Tigers will offer us the possibility of seeing a team with a Latino flavor on the pitch, something that is not new in the "Motor City". If the Venezuelan V-Mart leaves behind his health problems, he will remain as the designated hitter, and he could be accompanied in that line-up by the Cubans Leonys Martín and José Iglesias (in his last year of contract), also by Venezuelan Dixon Machado, who seems the number one candidate to keep the position left by Kinsler in 2B, Jeimer Candelario and of course Miguel Cabrera, who comes from the worst year of his career in terms of numbers, in a season with injuries that surely will have been only an exception, because he will be back leaving the physical problems behind. That is what all fans expect. Ron Gardenhire takes the relay as chief for Brad Ausmus. The new leader demonstrated in 13 years in Minnesota, that he has the ability to take away low-budget teams. With the Twins, he got 6 divisional titles in that period and now he has another one of those challenges that are good for him. Two years after being the Rookie of the Year in the American League, Michael Fulmer will now have the responsibility of leading the team's starting rotation. The departure of Justin Verlander to Houston last year has left a staff of starters with many questions and that surely will be the main problem to solve by Gardenhire in his first campaign at the head of the team. Could a proven management and the ambience set by Latinos raise the Detroit Tigers to the place Mike Ilitch dream of? Could the 2018 Tigers leave behind the money issue so important to teams aspiring to greatness? The answers will hit us back.